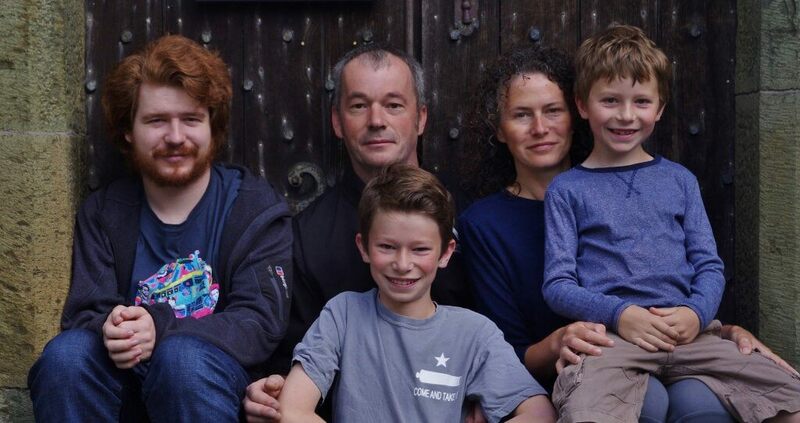 An update to the family photograph (for the ‘About’ page on this website) was long overdue as I don’t think we managed it last year. It is worth the effort to get all five of us together and looking presentable, though never without its shenanigans! 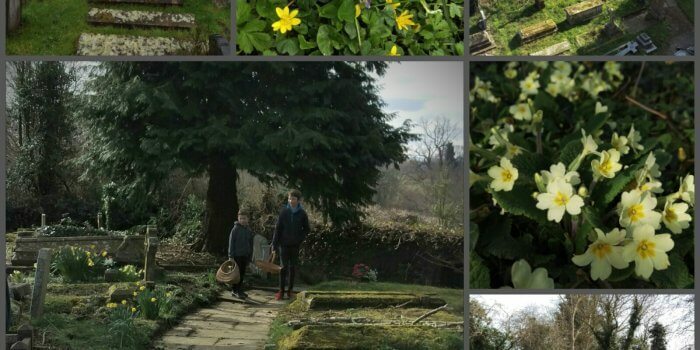 April in the churchyard, a month full of primroses and violets.